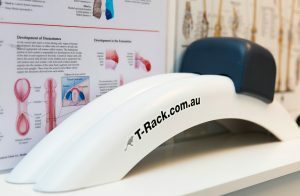 The T-Rack is a device specifically designed to reduce back aches and pains and to create the flexibility required for good posture. The T-Rack comes with a sliding head piece to ensure one size fits all so as you gain in flexibility the T-Rack continues to grow with you! your ribs). 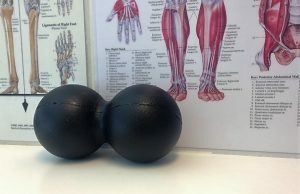 The two ‘roller’ spheres are the size of softballs, and the density is stiff enough to give good compression but not so stiff to cause pain. 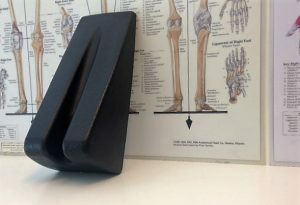 The T-Wedge, made of high density foam with a protective skin is designed to mobilise the joints of the spine. The T-Wedge is simple to use, just find the joints that are stiff in your back and lean over the wedge to create movement specific to that joint. The Hip Mate (pictured bottom right) is designed to self massage the muscles around the hip and pelvis. Tennis balls or baseballs are often used to do this but we now have a tool specifically designed to treat trigger points or tight areas within hip or pelvic muscles. The Hip Mate can be used up against a wall (so you can vary your weight) or directly on the floor. 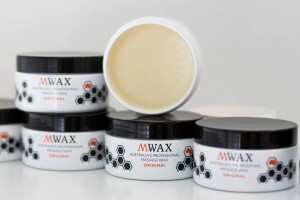 mWax is the best treatment lubricant on the market. 100% Australian natural products (bees wax and canola oil), never leaks, drips or spills, lasts for years and is used by the best in the business. $15.00 per tub, $66.00 for a six pack or $110.00 for a twelve pack. Try and find better value!